For those of you who may not be familiar with Wheeler Plaza, it is the area that is mostly a parking lot behind the old Foodville location. 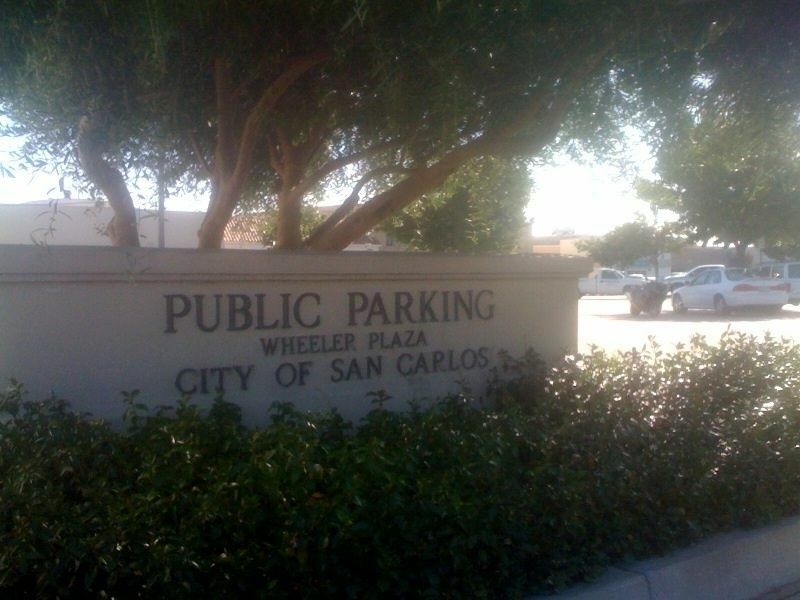 It currently holds 187 precious parking spaces which are used by folks visiting downtown San Carlos. Its exclusive use as a parking lot is being heavily re-examined. San Carlos has engaged the services of Silverstone Communities to examine the possibility of building a multi-unit residential building in the space currently occupied by the parking lot. Yesterday, I met with Jeff Gilman of Silverstone. I found Jeff’s attitude and general plan for examining the possibilities at Wheeler Plaza to be very accommodating and refreshing. Silverstone seems to be very concerned about gathering as much community input as possible prior to setting any possible plans in motion. This has not necessarily happened with other San Carlos projects, so it was a pleasant surprise. My immediate concern for the project was the possible size. Not that the project would match the size of 1001 Laurel, but many San Carlans are not happy with that building’s size, feeling that it is entirely out of place for Laurel Street. Jeff indicated that they were aware of this and had plans to mitigate the actual size as well as the designs to make the project not seem as imposing as 1001 Laurel. My next concern was losing any of the 187 parking spaces that currently exist. Jeff stated that any redesign of the plaza would keep all 187 public parking spaces. So, why is the city interested in putting another multi-residential building in downtown San Carlos? The city is trying very hard to pump as many dollars as possible into the businesses of downtown Laurel Street. That’s really the bottom line. The closer folks live to downtown, the more likely they are to spend money downtown. This has a domino effect. The more attractive downtown becomes, the easier it is for San Carlos to attract the big businesses to eastside San Carlos. In conjunction with the anticipated San Carlos Transit Village of a proposed 291 units, downtown should receive a substantial economic boost. One point to emphasize is that both projects are still extremely early on in planning and development.